For soprano, flute, viola, clarinet, horn, bassoon. 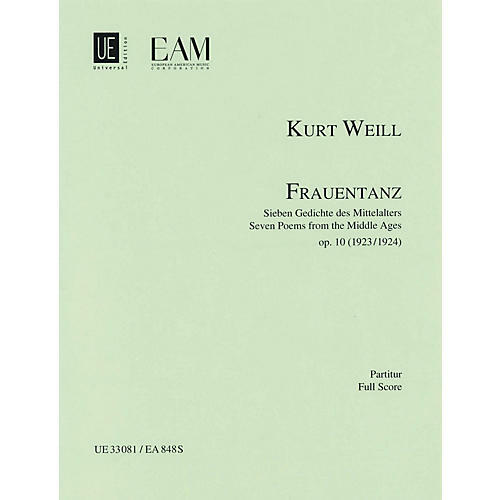 Edited by Jürgen Selk after the text of the Kurt Weill Edition (critical edition). Texts in German. Parts on rental.